Eating Healthy: Balanced Eating for Moms and Moms-to-Be. You faced a million decisions over the past few months and saw your body transform during this time too. Your primary focus naturally has been about what would be best for your baby. Rememberthis is also a time to think about you. It is about finding that balance for enjoying life, and your baby, to the fullest. As you prepare for your babys birth, you look for the best ways to optimize your health. For many new moms, your focus shifts towards getting your body back in shape. By exercising and eating well, you give yourself the needed energy to manage your busy day. You may have questions on the best way to achieve your healthy living goals. Are you getting the right nutrients for you and your child? Are you losing weight too slowly or too quickly? Balanced eating is the key to ensuring proper nutrition for fueling your body and losing fat. If the balance is off, then you may invest a lot of effort but not reap the rewards. Whether you are breastfeeding or not, balanced eating means consuming moderate amounts of protein, fat, and carbohydrate. Here are some tips to optimize your eating and achieve a healthy balance after your baby is born. Protein provides the building blocks for muscles, cells, and other tissues. It also helps keep you full; so you may experience less hunger throughout your day by eating protein with each meal and snack. The healthiest protein is found in low-fat dairy products such as 1% milk, light cheese, and low-fat plain yogurt; beans; eggs and egg substitutes; soy; fish and seafood; poultry; and lean meats. Eat these and other low-fat dairy products and lean protein foods throughout your day for optimal nutrition. Fat provides building blocks for certain hormones, transports nutrients, insulates the body, and helps support a healthful pregnancy. Fat also makes food taste better and keeps you full. Again, you may experience less hunger throughout your day by eating small amounts of healthy fat with each meal and snack. The healthiest fats are found in oils such as olive and canola; nuts and seeds; clear (not creamy) salad dressings; and certain types of oily fish. Eat healthy fats in small amounts throughout your day for optimal nutrition. Carbohydrates provide energy to fuel your busy day and contain vitamins and minerals to keep you and your baby well. Carbohydrates with fiber also help you feel full. Most vegetables, fruits and unprocessed whole grains contain lots of fiber. Refined carbohydrateslike white bread, bagels, many cereals, snack foods and sweetsdont contain much fiber. Many new moms, needing quick energy, snack on refined carbohydrates out of convenience. Instead, eat plenty of non-starchy vegetables (such as broccoli, red peppers, and tomatoes) and fruits (preferably ones where you can eat the skin like berries, apples, and pears), and several servings of whole grains (such as stone ground whole wheat bread, brown rice, and oats) throughout your day for optimal nutrition. *This material is not intended to substitute for medical advice from your doctor. Please consult your health care provider before changing your eating and exercise patterns. © 2008 Nutrition & Fitness Advisors. Reprinted with permission. Michael Mansueto Leidig, RD, LDN is a Registered Dietitian and Certified Personal Trainer. He is the founder of Nutrition & Fitness Advisors a telephone-/internet-based nutrition and fitness consulting practice www.myhealthadvisor.com. In addition, he is the Associate Director of the PRIORITY adolescent weight management program at Tufts Medical Center in Boston, MA. Michael is a nationally recognized speaker on weight management and the glycemic index. He has made television / radio appearances and co-authored book chapters and journal articles. Since 2000, Michael has worked with adults, adolescents, and children offering the latest research-based weight loss advice in a convenient, enjoyable way. Michael guides clients through all phases of the change process including discovery, planning, and implementation. His method is not based upon deprivation, but upon knowledge, motivation, action, and attention to the moment. Michael believes that making the commitment to healthfully nourishing yourself is a great step towards being and feeling your best. If you liked this article on eating healthy by Michael Leidig, read his article on the Glycemic Index and Weight Management. P.S. 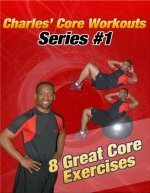 Check out my Core Workout Video! The video can be purchased as DVD's and shipped to your home. Click Here to Order Your DVD Today! Click to learn more about the core training. If you want to lose weight and get a flat stomach, my ebook Personal Training Secrets to Lose Belly Fat and Get a Flat Stomach is the answer to your prayers. It's more than just a list of the best ab exercises. It's a Complete Women's Fitness Plan with Simple Secrets to Lose Weight and Tone Your Stomach.